Crossing Roper Bar is a visionary exploration of the musical traditions of Australia’s first people by the Australian Art Orchestra in collaboration with the Young Wagilak Group. The Wagilak speaking songmen of South East Arnhem Land are custodians of one of the oldest continuously practised cultures on Earth. Their songs are performed regularly in Ngukurr, Numbulwar, Groote Eylandt and surrounding areas where the Wagilak are admired for their strong culture. 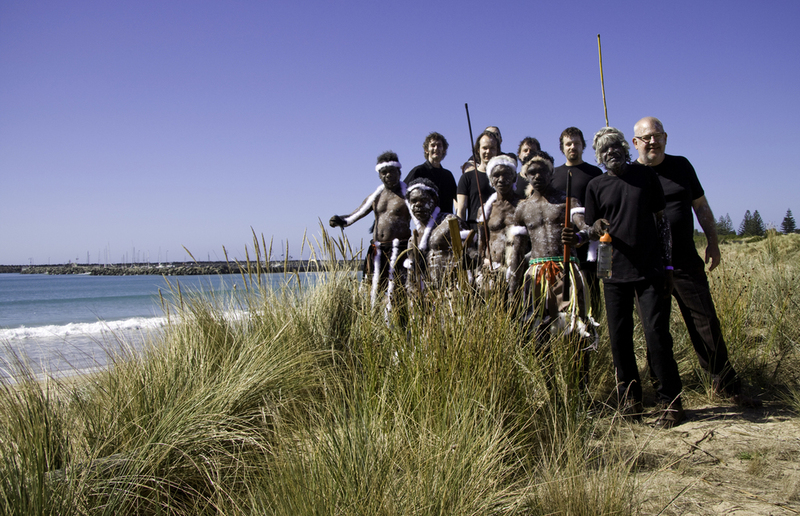 The Australian Art Orchestra began collaborating with the Young Wagilak Group in 2005. Based on an equal exchange of knowledge that began as a dialogue centred on music, Crossing Roper Bar developed into a process of collaborative composition that retains the beauty and dynamism of both traditions. 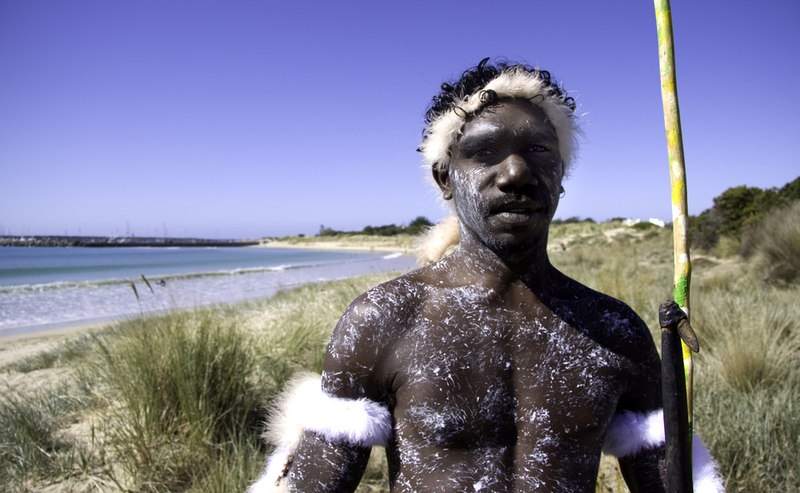 The Young Wagilak Group have worked closely with the AAO to create a contemporary interpretation of ‘Wild Blackfella’, a song cycle which traces the journey of the ancestor through his country as he calls up and names things. An electrifying marriage of the very old with the very new, Crossing Roper Bar is a celebration of country, of ceremony, and of the power of music to build enduring bridges across cultures, time and space. You can watch the Crossing Roper Bar showreel, featuring performances from MONA FOMA, Musée du Quai Branly and the National Museum of Australia, HERE. "The western instruments often use hypnotic modal figures while the indigenous singing is awash with throaty overtones and fluttering harmonics that are like electronica freed from the rigidity of fixed keys and pre-set loops. Furthermore the bilma – clapstick – has a percussive sharpness that progressive dance music producers would die for"